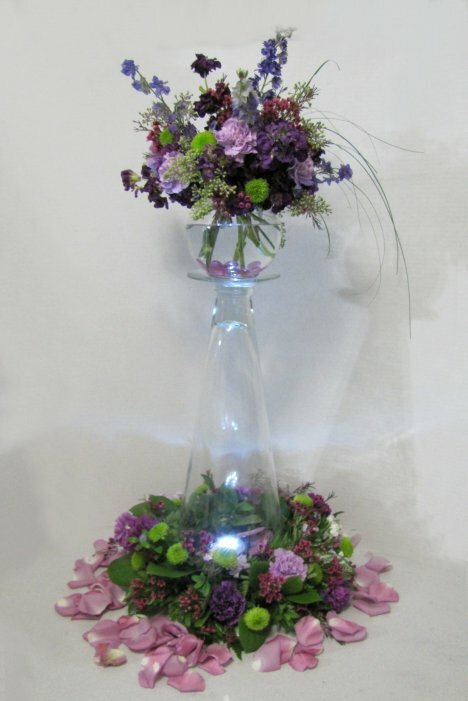 Bubble bowl designs can add more drama if you add a lot of height! 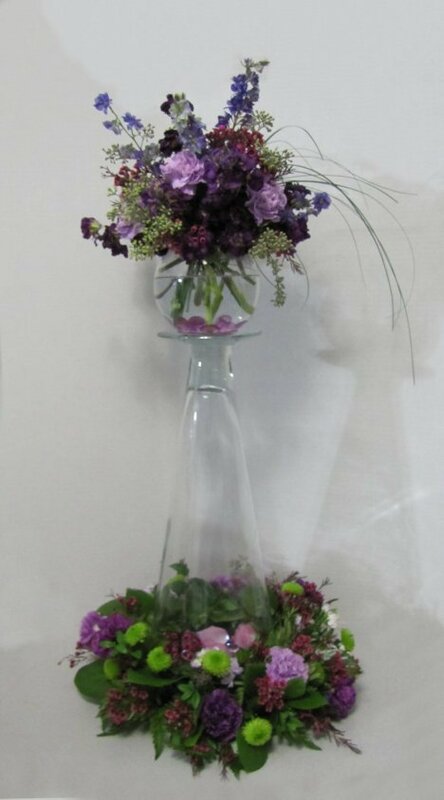 Take a tall trumpet centerpiece (I bought this one at Wal-Mart) and place a ring of florist clay on the flat foot of the bottom of the big vase. 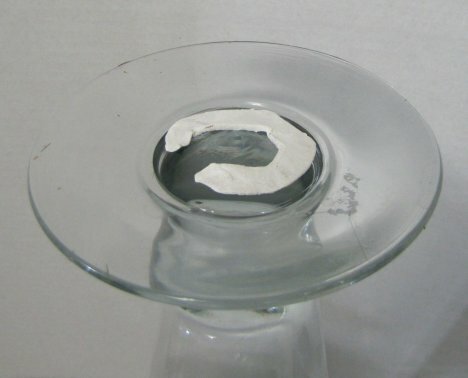 Now add the bubble bowl design by placing it on the top and pressing it down solidly. 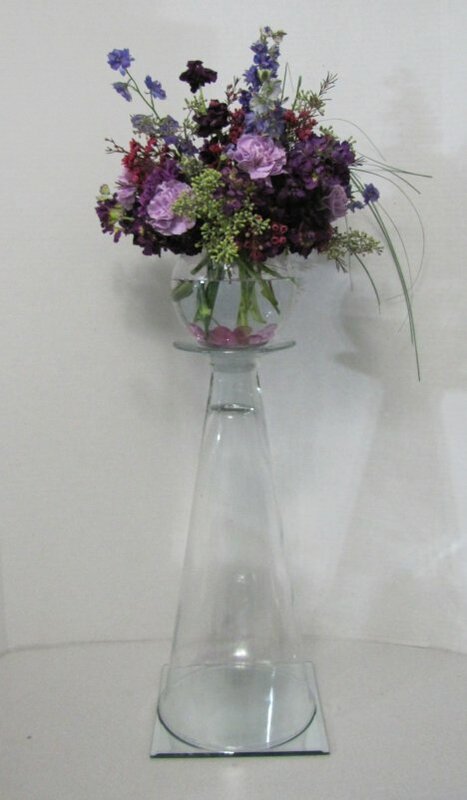 (Please don't try to transport the flowers this way. You need to transport the piece separately to the reception hall and then do this setup and place immediately on the tables. Want to go all out? 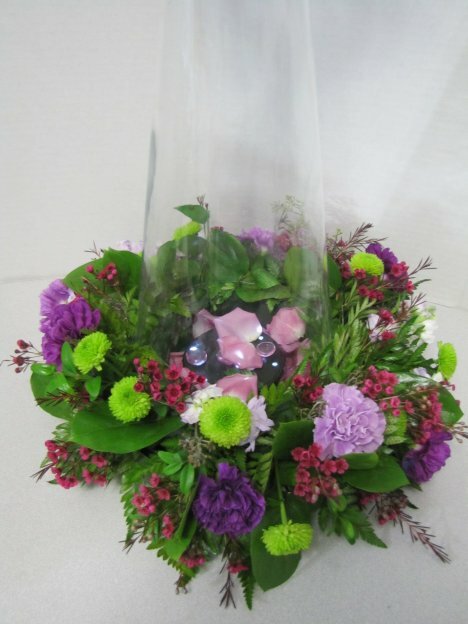 Flower in a large table wreath and carefully place your trumpet vase in the open center of the flowers. I tossed a few rose petals in the bottom so I can put a push light in the center of the trumpet vase. Here's a closer look with the concealed light. Arrange for the lights to be turned on by someone who can arrive to the reception venue before most of the guests arrive. 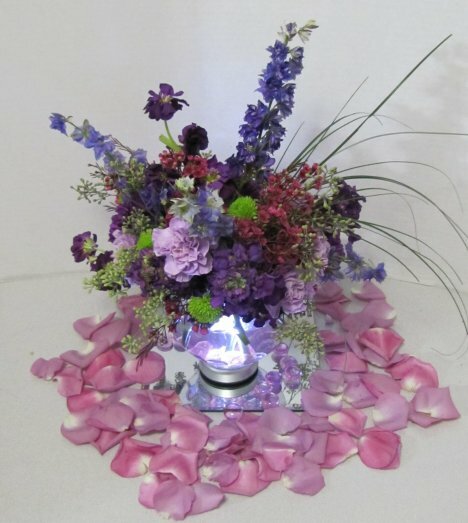 Now you have an elevated centerpiece that can add a lot of drama to your look. Alternate your tables with one with a low bubble bowl, and the next table with a tall elevated look. 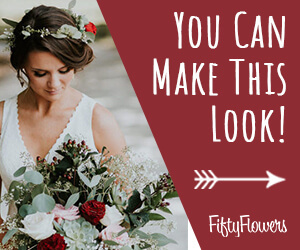 Stagger these throughout your guest tables and get ready for the complements! 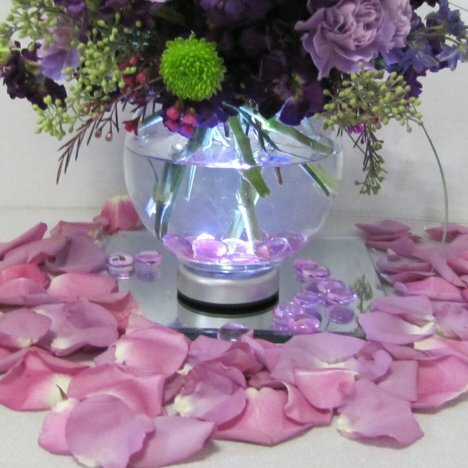 Little added touches such as rose petals, lights and mirror can really make your bubble bowl outstanding!